A team of Indiana State University professors received a National Science Foundation grant of more than $190,000 to create an innovative device they hope will transform automotive engineering technology education. The ISU researchers received the funding for their project, "CULMINATE: CUstomized Laboratory using MIcrocontroller for New Automotive Technology Education." They propose to create a microcontroller board, a device that looks like a computer motherboard featuring different components, that would help teach automotive engineering technology students how microcontrollers function in vehicles. The devices are becoming more prominent in automobiles, underscoring the need for students to learn about them, said Yuetong Lin, associate professor in the department of electronics and computer engineering technology. 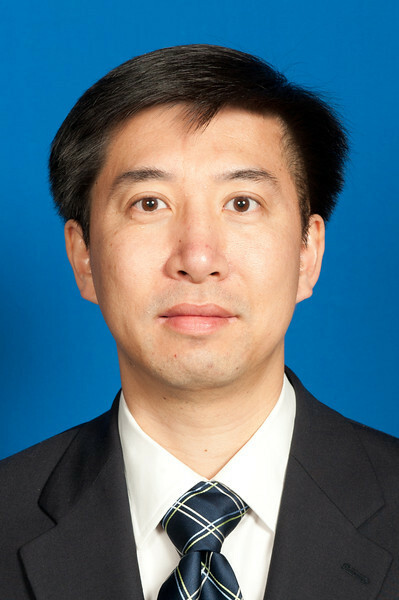 He is the lead researcher on the project. "The idea of the microcontroller board is that it has the core of any commercial products out there, but it's also going to integrate some key components for some automotive sensing and controls," Lin said. "With the commercial board, everything is fixed on." The team first received the idea after Xiaolong Li, assistant professor of electronics and computer engineering technology, attended an NSF conference and saw that a friend had created a different kind of customized microcontroller board. "They are mainly used for computer engineering or electrical engineering programs," Li said. "We wanted to develop a different board which is specifically for an automotive engineering program." The customized board would allow for the different components used in microcontrollers in vehicles to be included in the educational board so that students could learn about them. A customized board also will allow for components to be interchanged; the commercial boards available for purchase have components that are soldered onto the board, Lin said, so they can't be taken off. The National Science Foundation promotes interdisciplinary work among engineering and technology fields, Lin said. This project combines the microcontroller boards that are common in computer engineering technology, but customizes them for the automotive engineering technology field to train students. Some people have the impression that they just need to learn about mechanics to understand vehicles, said Lin, who added that "today in cars, you cannot really separate mechanical and electrical" systems. "If you go to a Honda or Toyota assembly line, you can see a lot of work highly automated, and it's not just the mechanical line using bolts and nuts," he said. "Transforming technology education definitely can help students realize that now all of these fields are interconnected." The team of researchers includes M. Affan Badar, chair of the applied engineering and technology management department, and Phillip Cochrane, associate professor in the department of applied engineering and technology management. The grant, which is for about $195,000, is for three years. The group plans to create and develop the board over the first two years, then have students test the board the final year. The researchers also plan to host conferences with technology educators to inform them of the board, and the significance it will have in teaching automotive engineering technology to students. "This grant provides a financial commitment to a project that could provide great strides in the way that college students learn about technological systems in automobiles," said Bradford Sims, dean of the College of Technology. "The National Science Foundation's multiyear commitment to this endeavor indicates the significance that this can have not only for Indiana State University, but for students learning about automotive engineering technology across the country." ISU researchers received a more than $190,000 grant for their project, "CULMINATE: CUstomized Laboratory using MIcrocontroller for New Automotive Technology Education."